Image is important and lacking confidence in our smiles can hold us back from truly living the life we want. But traditional braces aren’t suitable for us all. Clear and removable, Invisalign discreetly does its work so life can carry on as normal. You’ll see big changes from small movements in just a matter of weeks and because the aligners are completely transparent, results are the only thing you do see! Crossbites cause one or more upper teeth to bite on the inside of the lower teeth. This can cause wear of the teeth, gum disease and bone loss. Deep bites lead to gum problems or irritation, and/or wear on the lower teeth, causing painful jaw and joint problems. Underbites can prevent the normal function of front teeth or molars, which can lead to tooth wear. It can also cause painful jaw and joint problems. Open bites can cause poor or painful chewing and even speech impairment. It can also lead to greater issues like temporomandibular joint disorder (TMJD). Invisalign aligners slowly change the position of your teeth which you swap every few weeks until you’re left with a beautifully straight smile. At your initial appointment, we’ll identify and discuss whether Invisalign is for you and how it will fit into your lifestyle. Our iTero scanner will then scan your mouth to show the 3D detail of your teeth. Once we’ve scanned your mouth we’ll take impressions of your teeth to make your custom aligners. When these are ready, you’ll pop in again to pick them up and start your treatment. We know cost is a big question for anyone considering orthodontic work. In most cases, Invisalign treatment is comparable to the cost of traditional braces. At Perfect Smile we also offer a wide variety of flexible finance options, helping you to spread the cost. Costs below are based on a maximum 5 year term. Your dream smile for less than the cost of a coffee per day. Dental Finance from Perfect Smile is an affordable and practical way to attain the smile you've always dreamed of. *£1,800 over 12 months, 0% APR. Manageable monthly payments that don't break the bank. We offer finance, with flexible terms and payment methods to suit you, making Invisalign accessible for everyone. Fully inclusive costs and no hidden extras. Invisalign treatment is accessible for all. We offer finance allowing for the cost to be spread over a maximum of 5 years. Invisalign is a quick and easy alternative to traditional braces and the length of treatment often depends on the severity of your case, but the average Invisalign treatment takes just 12 months. Plus, no matter the length of your treatment, you can rest assured that Perfect Smile will be by your side every step of the way. Whether you pop in to see us for a chat or need advice over the telephone, we're always here and we always care. Still wondering if Invisalign can really make all the difference? Take a peek at the images below. These patients were treated with Invisalign and now have a perfect smile! You don’t need to be an adult to have aligners fitted, but you do need to have all your adult teeth. Yes. One of the chief advantages of Invisalign aligners is that you can remove them to eat or drink. 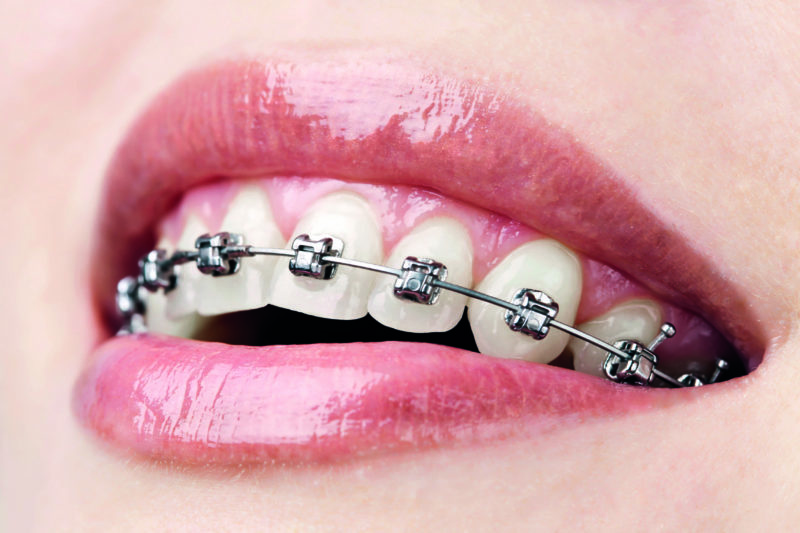 Unlike standard braces, they won’t impinge upon your social or business life. The main advantage over traditional braces is the fact that Invisalign aligners won’t mar the appearance of your smile while they do their work. There are no unsightly metal bands holding them in place. Unlike standard permanent braces, Invisalign aligners can be removed when called for, i.e. when receiving standard dental treatment. 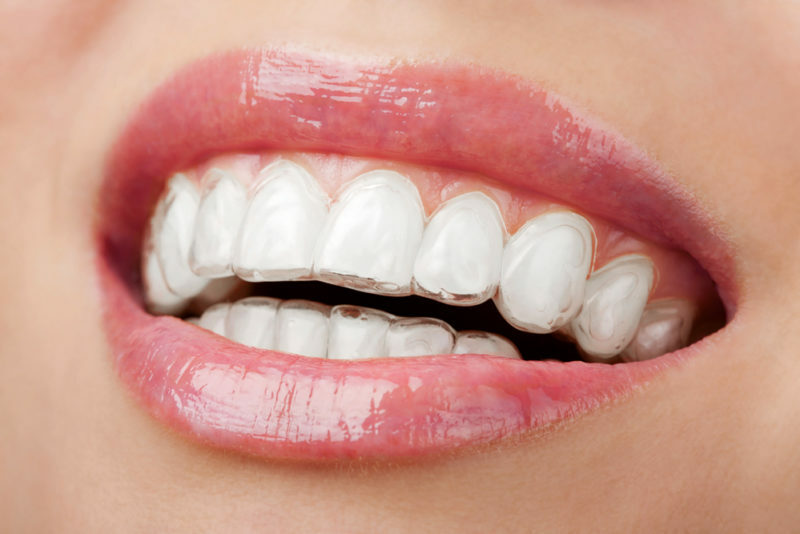 The virtually invisible aligners are made of strong medical grade thermoplastic material. The aligners are custom-made for you and fit snugly over your teeth. Invisalign aligners may have a slight effect upon your speech when they’re first fitted, causing a slight lisp. Unlike standard braces, however, they can be removed temporarily if you need to make an important speech. Invisalign aligners are completely removable so you can brush your teeth as normal. We supply every Invisalign patient with a retainer to wear every night once they complete treatment. This will help to keep your smile beautiful. Not at all! Invisalign is usually suitable for everyone. I had braces when I was younger, but my teeth have shifted. Will Invisalign help correct this? Alice opted for Invisalign after she grew tired of hiding her smile. Knowing she spent a lot of time in front of a camera for work she decided to straighten out her crooked smile. It's safe to say she's glad she did! "Invisalign makes you feel amazing because you really see the result you've always wanted." I finally did it. After YEARS of saying I wanted them, I have finally got Invisalign. I thought I may as well do something which will make me happy right now. It felt so good to go ahead with treatment - something I have worked so hard for and wanted for so long. Can't wait to see my final results! Everytime I visit Perfect Smile I have a great customer experience from the moment I walk in and right through to when I leave. All staff are super friendly and professional. Simply put I can't find anything to fault and would happily recommend to others. My dentist Shaimil has been great from start to finish. Very efficient and informative! The staff are always professional, friendly and approachable. You can ask any questions you need to. It feels like a personal experience and they remember you not just another customer walking in and out.